Quality: At Better Healthcare LLC, our interview process is extremely comprehensive. This includes personal meetings, background checks, references and reviews of licensing credentials. We take great effort in making sure your family receives the most high-qualified individuals to care for your loved ones and we will continue to work until we find the caregiver who is the right fit for your family. Continuity: Our nursing aides have the highest level of professionalism but from time-to-time all workers find themselves having to take a personal day off. 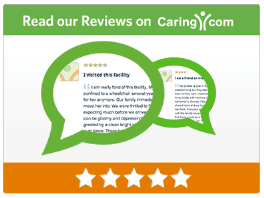 When this happens, we rely on our comprehensive pool of caregivers to make sure that your loved one is being taken care of by someone who is equally knowledgeable about their needs and personal preferences. This ensures the highest quality of continuity, comfort and peace of mind for your loved one. Liability: While it’s true you may believe you can hire a caregiver directly for your loved one in a more cost-effective manner, hiring a Nursing Assistant on your own could actually be a land mine of unforeseen expenses! Families that employ directly are at risk. If your caregiver should get hurt in your home, they may seek unemployment, worker’s compensation, or other employee-related benefits directly from you the employer. There are many professionals providing medical management services. Usually they are “Case Managers” working for an insurance company, medical facility, or managed care group. Most of the time they are in the business of providing less care to increase profit for their company. Better Healthcare works solely on behalf of our clients to ensure that the entire spectrum of care is provided in the most competent, cost effective, and caring way. We are uniquely oriented to the needs of our clients and their families. 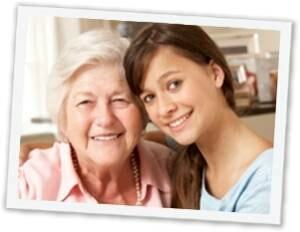 Geriatric Care Managers are trained to plan for an individual’s healthcare with a keen eye on the whole picture. We plan for the natural changes that are part of aging; and given the emotional investment of a family with a parent, friend, brother or sister in need of care, it is often best to leave planning to the trained professionals. Failure to do so can cause a host of unforeseen and costly missteps including unnecessary spending of assets, emergency placement in a healthcare facility, improper Medicaid application submission, poor health outcomes, repeat hospitalizations, and depression.